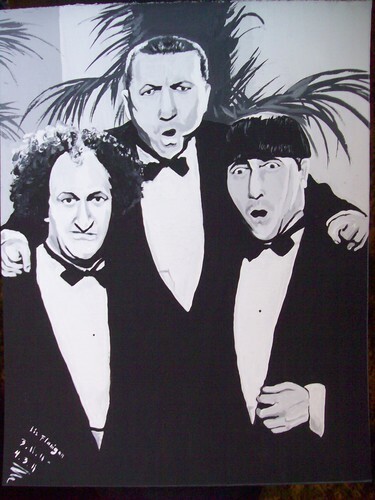 Three Stooges Artwork. Three different pictures of the boys. These are acrylic paintings. One is a mural, another is on a 22x28 posterboard and another is on a small piece of cardboard. Yes. I painted them. I'm a horribly obsessed Stooge fan! XD. HD Wallpaper and background images in the Three Stooges club tagged: three stooges stooge moe larry curly moe howard larry fine curly howard art fan.